Typical "Chateau" home within the community. 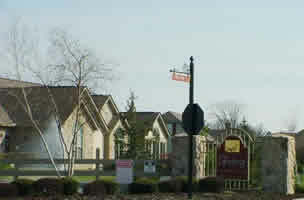 Collingwood Pointe at the Preserve is located in Columbus, Ohio. All homes have brick and wood or stone and wood exteriors. Built in 2001, you will find the 1-story Villa, Abbey and Canterbury floor plans in addition to the 2-story Chateau floor plan. 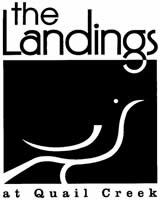 Enter into a lovely community. 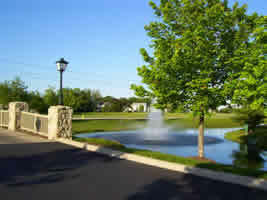 Discover a beautiful pond with fountain. 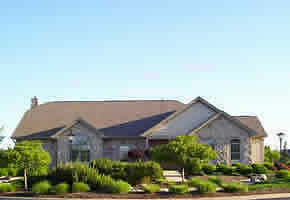 The clubhouse offers a large gathering room, exercise room and outdoor pool. Stop at this entryway sign and take a look!